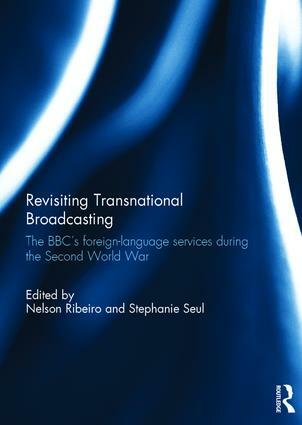 Presenting a collection of original chapters, this book reassesses the history of the BBC foreign-language services prior to, and during, the Second World War. The communication between the British government and foreign publics by way of mass media constituted a fundamental, if often ignored, aspect of Britain’s international relations. From the 1930s onwards, transnational broadcasting – that is, broadcasting across national borders – became a major element in the conduct of Britain’s diplomacy, and the BBC was employed by the government to further its diplomatic, strategic, and economic interests in times of rising international tension and conflict. The contributions to this volume display a series of case studies of BBC transmissions in various European foreign languages directed to occupied, neutral, and enemy countries. This allows for a comprehensive understanding of the different broadcasting strategies adopted by the BBC in the late 1930s and throughout the war, when the Corporation was under the direction of the Ministry of Information and the Political Warfare Executive. This book was originally published as a special issue of Media History. Nelson Ribeiro is an Assistant Professor at the Catholic University of Portugal in Lisbon, where he is the Coordinator for Communication Studies. He is a member of the Board at the Research Centre for Communication & Culture, and vice-chair of the Communication History Section at ECREA. Stephanie Seul is Lecturer in Media History in the Department of Cultural Studies at the University of Bremen, Germany, and a member of the editorial board of Media History.